TS ECET 2019: Telangana State Engineering Common Entrance Test is a common entrance test for Diploma Holders and B.Sc. (Mathematics) Degree Holders. It is conducted by JNT University Hyderabad on behalf of the Telangana State Council of Higher Education. 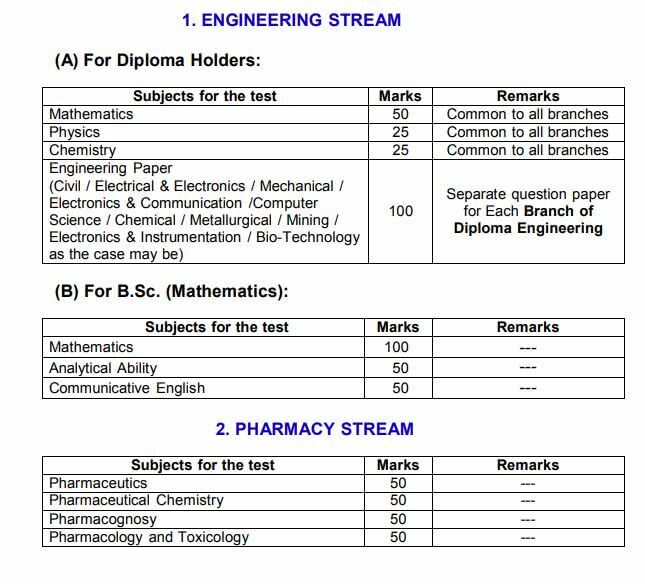 All the eligible candidates who want to get admission in lateral entry into BE, B.Tech and B.Pharma courses can appear in this exam. State Telangana’s various colleges and universities consider TS ECET Score to provide admission, So it is important for all the Interested candidates. In this article, we are providing all the details about the Exam, TS ECET Application Form and other events which are going o ha[ppen in the exam. We are providing here all the Events of this exam and TS ECET 2019 Important Dates here, this table is based on 2018 schedule and events. We will update it when the final notification and schedule will be announced. We are providing here all the Eligibility to appear for the Telangana State Engineering Common Test. Candidates should satisfy the following requirements to be eligible for appearing in TS ECET 2019 Exam. They should belong to the State of Telangana or Andhra Pradesh and satisfy local/non-local status requirements. All the Intrested Candidates must have a Diploma degree in engineering or technology or pharmacy from any recognized university/ college. OR They Have passed 3 years duration B.Sc Degree Examination with mathematics subject. All the Candidates should have obtained at least 45% marks for general and 40% marks for SC/ST categories. The Application Form will be available through online mode only. 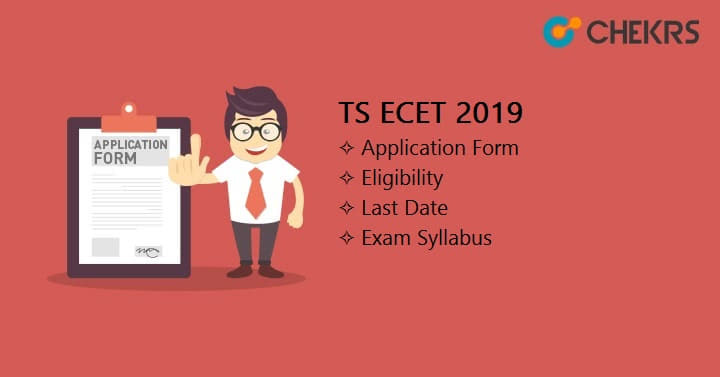 The TS ECET Application Form will be available between the months of March to May 2019. Candidates have to pay the Application fee to fill the application form. All the important procedure to fill the application form is given below. Visit the Official website. The link is given at the end of the article. Find and Click on the button “Application Fee Payment”. A new fee payment page will appear. On this page fill all the asked and required details and click on “Proceed to Payment” Button. Candidate can make payment through online modes only i.e. credit /debit card or internet banking. After successful payment, a message “Transaction is Successful” will appear. You can also check the payment status through the option “Know Your Payment Status”. After the successful fee payment, You will receive Username and Password. Again visit the official website and this time click on the “Fill Application Form” option. Now in the newly opened Application form, Enter all the required personnel, Educational details in the application form. Candidates also have to upload the scanned images in the prescribed format. Signature size below than 30 KB and in .jpg/.jpeg format. After filling all the details carefully recheck it and print the application form by clicking on Print Button or using the Option Print Your Filled in Application Form. TS ECET 2019 Registration/ Application Fee will be Rs. 400/- for SC/ST candidates and Rs. 800/- for all others. The syllabus for the TS ECET 2019 will vary as per the Opted courses. The TS ECET Syllabus 2019 for diploma holders will comprise of physics, mathematics, chemistry subjects and the relevant field of the diploma. The Syllabus for B.Sc graduates with mathematics will comprise topics like mathematics, analytical ability, and communicative English. The complete syllabus will be available on the official website. You can also check the syllabus from the Link given at the end of the post. The TS ECET 2019 Exam will be conducted in Computer-based mode. The question paper will carry 200 multiple choice questions. Candidates can get more details from the below tables. Type of Questions Multiple choice questions. Manage Time Properly. Divide time for each subject. Make your own notes, follow the concepts & formulas. Give mock tests regularly. Giving mock tests will increase your speed and accuracy. Admit card is a very important document for any exam. TS ECET 2019 Admit Card will be available through the Online mode. The Admit card is expected to be available in the first week of May 2019. To download the TS ECET Hall Ticket candidates have to visit the official website and log in to get the hall ticket. The Answer key will be released within a week after the exam. The TS ECET Answer key will be also released on the official website. Candidates have to log in to the official website to download the Answer key. Candidates can also submit their objections regarding the answer key before due date using the registered E-mail. The Result will probably be released in the 4th week of May 2019. The TS ECET Result 2019 will be available on the official website. Candidates can check the details by entering the required details. After the Result declaration, Separate TS ECET Rank List/ Merit list will be also released on the official website. On the basis of Candidate’s Rank, They will be called for the counselling. The TS ECET Counselling is expected to be held in the month of June 2019. It will be an Online Procedure. In the counselling procedure First candidates have to verify their all the documents and results and after it, they will be allowed to fill their preference and courses. After it Seat will be allotted to all the eligible and qualified students on the basis of Seat availability, their choice, Candidate’s Rank. After the seat allotment candidates have to Report to the Allotted colleges to get the admission in the preferred course.